It was the beautiful Saturday morning. Warm. Sunny. The perfect morning to play some road hockey. 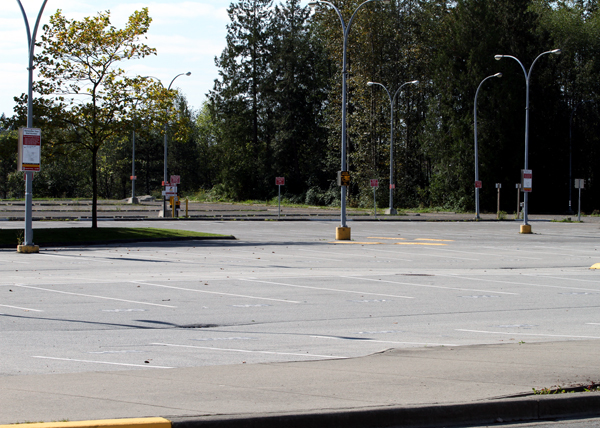 But, instead of the sounds of hockey sticks hitting pavement and the cheers of spectators, the only sounds in the parking lot at Kwantlen’s Surrey campus was the occasional passing car. Thee Kwantlen Athletics and Recreation department was forced to cancel its road hockey tournament that was suppose to take place on Saturday, Oct. 2. “There wasn’t enough teams,” John Stewart, recreation events coordinator, said. According to Stewart, only three teams and three individuals registered for the tournament. “We wanted this to be a viable tournament. We actually lose money on this event. So, we needed a minimum of six teams for the tournament to go ahead,” Stewart said. Unfortunately for Kwantlen Recreation, failed sporting events are becoming a recurring theme. “We’ve had some successes, but it’s pretty hit and miss,” said Stewart. Stewart believes that the struggles the department has had in generating student support for these types of events, is their inability to get their message out. With very few people following them on either Facebook or Twitter, flyers posted around campus, announcements on myKwantlen and word of mouth aren’t doing enough to get students interested and participating in these events. According to Stewart, the department is going to set up a recreation committee, made up of members from the recreation department, the KSA and volunteer students. The idea is to get the students more involved in the process and tell the recreation department what kinds of events interest them. Stewart hopes that by getting students involved, it will create more enthusiasm in the student community for events such as the road hockey tournament.